Transfer services "Baltic Car Hire"
Transfer services allow you to get a car with a driver at your disposal, who will take you to the required place at a specified time. 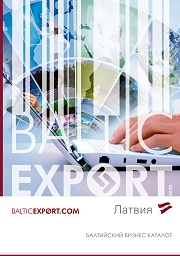 "Baltic Car Hire" provides transfer services throughout the Baltics – also to Vilnius and Tallinn. Carriage of passengers is a transport service that makes movement more convenient within the Baltic States. Business directory Kompass is one of the leading business-to-business (B2B) information providers in the world with a comprehensive network of representation in more than 60 countries worldwide. It is an internationally renowned company that offers effective tools to help any export-oriented companies learn and discover new markets, sell their products and services worldwide, and increase their brand awareness. FCMC has registered an alternative investment fund manager "2B Capital AIFP"
The Financial and Capital Market Commission (FCMC) board has registered a new alternative investment fund manager "2B Capital AIFP" Ltd., Senior Public Relations Officer of commission Dace Jansone has informed LETA. The new financial technology firm "Nordigen Solutions" Ltd. has signed an agreement with the Latvian Investment and Development Agency (LIAA) to receive funding for a new enterprise support program for attracting highly skilled workers, the company's representative Maija Anna Ludberža has informed LETA.